Last month on CBS’ 60 Minutes Fed Chair Jerome Powell said the “boy crisis” is one of the two biggest threats to America’s economic future. 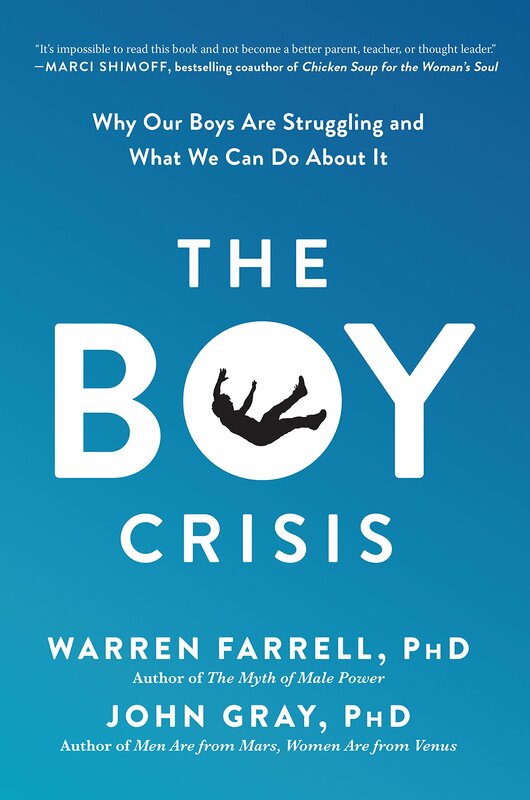 Dr. Warren Farrell, the chair of the Coalition to Create a White House Council on Boys and Men, wrote a column on the “boy crisis” for USA TODAY. I have discovered that there is, in fact, a boy crisis, that it is a global crisis, and that it is particularly egregious in America. The crisis is more than economic. It is multifaceted, with each facet magnifying the others. It is a crisis of education. It is a crisis of mental health. It is a crisis of physical health. It is a crisis of shame. Farrell has plenty of supporting evidence.